HELLO AMERICA! Millions of Americans sat shocked listening to President Trumps rhetoric concerning Russia’s involvement in the 2016 election. His put-down of the nation’s highest and most powerful investigative agency, the FBI was something which rocked folks from coast to coast. DOCUMENTARY FILMMAKERS from coast to coast had their new-aged cameras rolling at every point. Without a doubt, it was another time to be remembered. Remembering how Trump disrespected England’s Premaster Theresa May, later totally treating their 92 year old Queen Elizabeth as if she was simply a passerby, lifting his head in the way many of us remember Mussolini did during the 2nd World War and worst of all, how he raised his hand in the same way Hitler did when welcoming his applauding German crowd, as they yelled “Sieg Heil” was totally overwhelming. People! Something is definitely wrong; no matter how one rationalizes it, our government is slowly being taken over by those who hunger for a throw-back to the era when those who control money, business and the ordinary lives of the working class population of this nation. Sadly, there exist a Trump base who fit that description believing that he and those who support every move he makes in Washington is to their benefit. Even though his dominant base in Congress are seeing that taxes passed benefit the most wealthy of our country, still they refuse to open their eyes to the truth. This is how and why millions of poor, struggling working class human beings ended up dying on one battle field or another. The families, of course, are made to feel patriotic, holding up a flag when their love-ones are placed six feet under. Three of my family ended in that ritual process and I remember it well. The general reaction from many Republicans have been somewhat tame; making excuses but quietly indicating their political support. It is amazing! Former Gov. 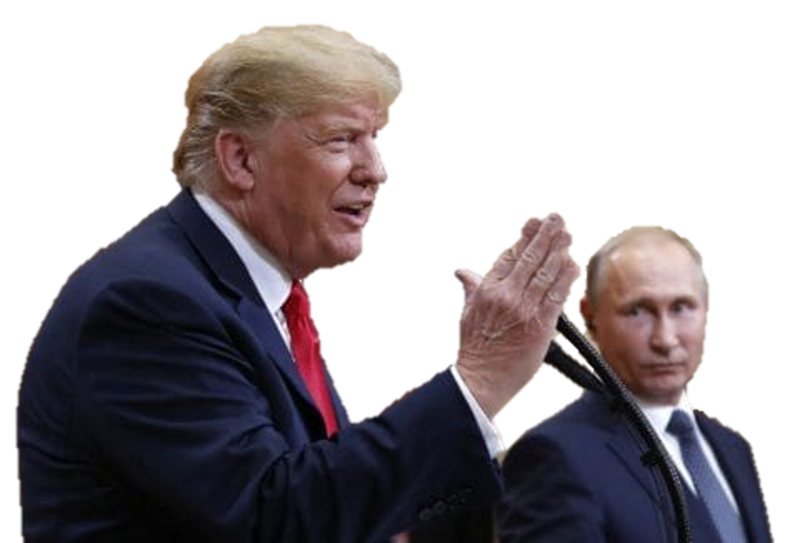 Christie Whitman called on President Donald Trump to resign Monday after he appeared to accept Russian President Vladimir Putin's denial that Russia interfered with the 2016 presidential election. The reaction was the strongest but not the only criticism from New Jersey Republicans, while Democrats struggled to find harsh enough words to condemn Trump. Whitman, a former EPA administrator who has become an increasingly harsh critic of Trump, said on Twitter that he "should be ashamed." “The behavior of the past week is just jaw-dropping,” Murphy said. He added that “we will pay a price” for Trump’s attack on long-standing and effective institutions. Sen. Bob Menendez also used "jaw-dropping" to describe, on Twitter, his reaction to the Trump-Putin appearance. That was disturbing. Shameful. Jaw-dropping. Disgraceful. I am running out of words to describe how despicable it is to see an American President capitulate to a dictator.